For the past four years I have been employed by an adult literacy organization in my community. According to ProLiteracy America an estimated 90 million adults have low functional literacy. This includes a person’s ability to read and write, use computers, do basic math, and skills to develop fundamental English as a new language. 30 million adults in America function at the lowest level of literacy, unable to accomplish those tasks, while an additional 60 million people function at only a slightly higher level. It astonishes me that this day in age there are still so many adults with such low levels of literacy when at one time our country boasted of almost universal literacy. Yet contrasting the rate of literacy in the 21st century to that of the 18th century is difficult as measurements vary based on how literacy is defined, and is proportional to the population considered during these time periods. In New England there was a population of 120,000 (1706), 250,000 (1734),500,000 (1762),1,000,000 (1790). Today the U. S. has a total population of over 310 million people. But we must keep in mind that in colonial America only the Anglo population was considered in literacy estimates, excluding Indians, African Americans, slaves and indentured servants.In Virginia, an entire 40% of the population who were slaves were disregarded. Slaves were largely illiterate and prohibited from learning to read as a means of social control. There was a great emphasis on universal literacy in the early colonial era of the 17th century largely based on the puritan belief in the importance of Bible reading. 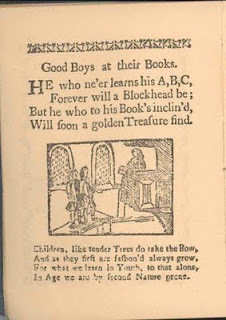 To this end a 1642 New England law stated, "See that all youth under family government be taught to read perfectly in the English tongue..." By 1647 the Massachusetts General Court passed the "Old Deluder Act" calling for the establishment of grammar schools to thwart "one chief project of that old deluder, Satan, to keep men form knowledge of Scriptures." 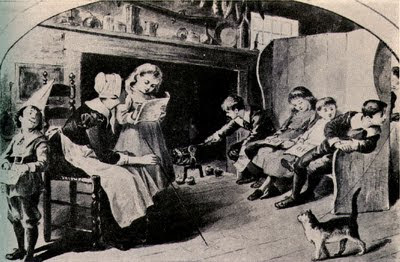 So while we may think of literacy in the most basic terms of having the ability to read and write the English language, literacy in the American Colonies held a primary importance on reading. 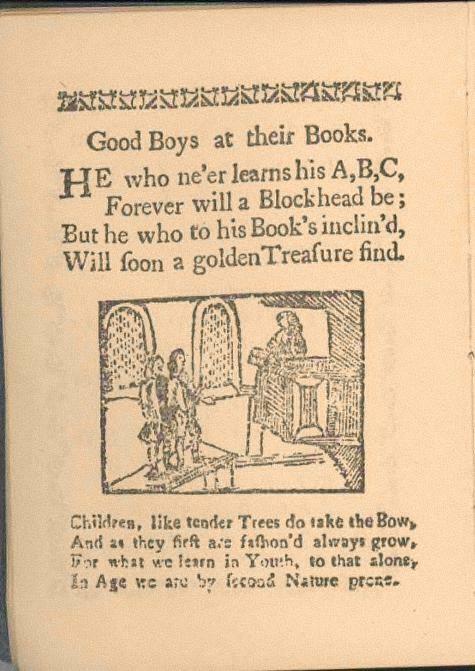 Students would master their horn book and then move on to the New England Primer. Boys learned to read, write, and do basic math, went on to become apprentices and perhaps obtain a higher education. 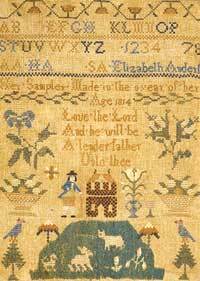 Reading and writing were taught as separate skills and writing was not considered necessary for females, so she would learn more practical skills and reinforce her reading as well as embroidery skills by working on a sampler. Both the New England Primer and samplers incorporated moral themes into the text. The ability to read the printed word didn't necessarily result in the ability to read handwriting in any "hand" (writing style). And being able to write one's name or copy phrases did not mean one could compose. Colonists were often expected to put their name to deeds, parish registers, and baptismal records in early America. While some could write, others simply mastered writing their own name, but many signed these documents with their “mark”. 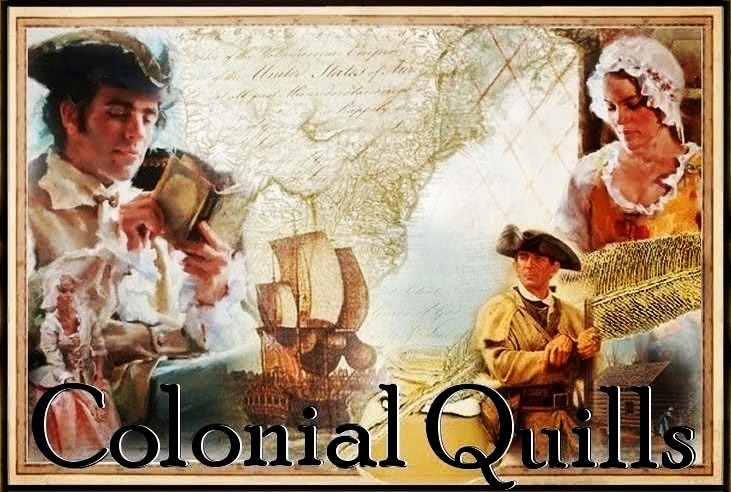 Writing in colonial America was predominantly a male skill and tied strongly to class and occupations such as lawyers, clerks, scolars, physicians, clergy and businessmen. But women who could read, write, and do basic arithmetic were better prepared to run their households more efficiently and correspond with friends and family through letter writing. Later in the century women had more opportunity to expand their education. 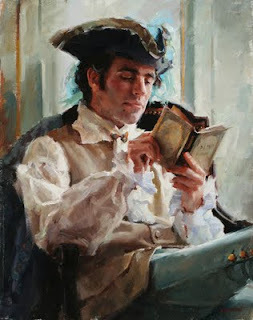 Literacy has always had the potential to free individuals to be better educated, get better jobs, participate more in their communities, guide morals, and help the next generation to be more literate - both now and in colonial times. Carla, I've always admired your literacy work. It's hard to imagine not being able to read or read well but it is a reality. 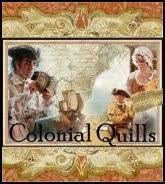 Love the history behind the impetus to read throughout the ages, especially in colonial times. So interesting that those from Scotland and Wales were among the most well read! Thanks for another great post. Glad this was posted. Literacy is such a vital element in making freedom a reality. Thank you for this information and for what you have done to assist people with these skills! Thank you, Laura and Carrie, it's a privilege. As I learn more about literacy and about colonial America I realize the rich heritage we have that has contributed to making our great nation. Very interesting! Some of my ancestors were Puritans from Boston and Plymouth Massachusetts, and Rhode Island. In some of the geneological material I read, they all could read and write. It seemed really important to them. Cara, that is interesting to hear that you have seen that reflected in your genealogy research. Thanks for sharing! Oh, and by the way, we may share some of the same ancestors! Closer-placed communities of the Northeast seems more conducive to literacy, as trading written works would prove easier when people saw more of one another. In the South, where the population was more scattered and lower, also the mortality rate amongst the young was higher mainly due to climates, according to Morgan and some other sources, literacy became less of a priority. Poverty was higher and books more scarce. Then again, the first college was in Virginia--William and Mary. It can't lay claim to being the oldest now, because it has twice lost its charter due to wars. All in all, though, quite interesting. Once upon a time, I read how Ireland was the most literate nation in the sixteenth century. Ireland is neither a strong interest nor expertise of mine, so I can't recall the source, but that detail stuck for me, as it was a contrast to latter centuries in the same nation--post British invasion of the seventeenth century and later. Note: Mohawk Chief Joseph Brant studied at Moor's School, forerunner to Dartmouth College. He also translated the Book of Mark into Mohawk. Carla, wondered what your thoughts are on the elimination of cursive writing in schools today? Getting tired,so forgive me--but also wanted to say this is a great post, Carla--Thank you!! You bring up a good point, Laurie Alice. There have been many times when communities were simply in survival mode and people were not able to give as much attention to literacy. There have always been stumbling blocks, and still are, that prevent individuals from improving these skills, including economic factors as you said. Although there is still a high rate of illiteracy in America it is good that we have resources such as ProLiteracy that provides free tutoring to those in need. I've been happy to serve as one of them. Good note on Ireland, too. The Bible was translated into their native tongue through the process of translating their phonetic tongue into character symbols of the alphabet. But it is interesting to note that evangelizing the Indians to Christianity was also a method of controlling them the same way that keeping them and black slaves illiterate with the English written word also was. Not only that, Carla, but many people with fine motor issues can write much more easily and quickly using script vs. cursive. Such a lively conversation on literacy in Colonial America. Thank you all for stopping by. I find it amazing that one room school houses, in many cases, were the source of such strong language skills. My grandfather started school taught only in English. He spoke only German, but quickly became fluent in English and received an excellent education from a small community school in the late 1910's. My mother in-law attended a one room school in a very small community. She read the classics, Shakespeare, and learned Latin. Forty five years later, I attended a larger school very near her old school. None of those things were available. There is a lot to be said for community ran schools.